The woodland animals were all getting ready for the winter. Geese flew south, rabbits and deer grew thick warm coats, and the raccoons and chipmunks lay down for a long winter nap. Come Christmastime, the wise owls were the first to see the rainbow around the moon. It was a sure sign that the big snow was on its way. Berta and Elmer Hader created many delightful books for children. 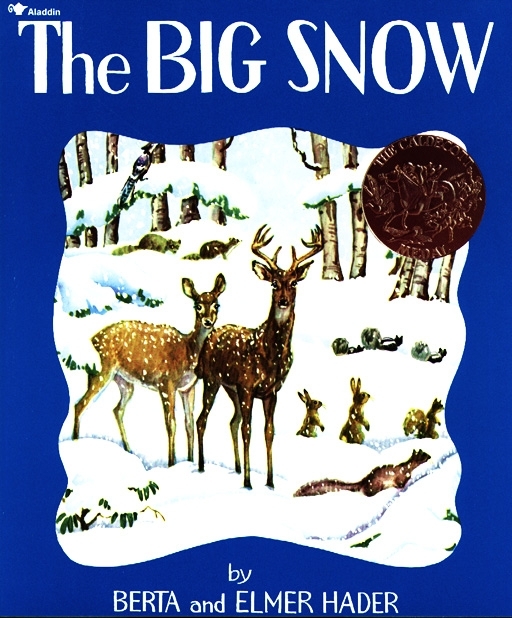 The Big Snow was awarded the Caldecott Medal in 1949.